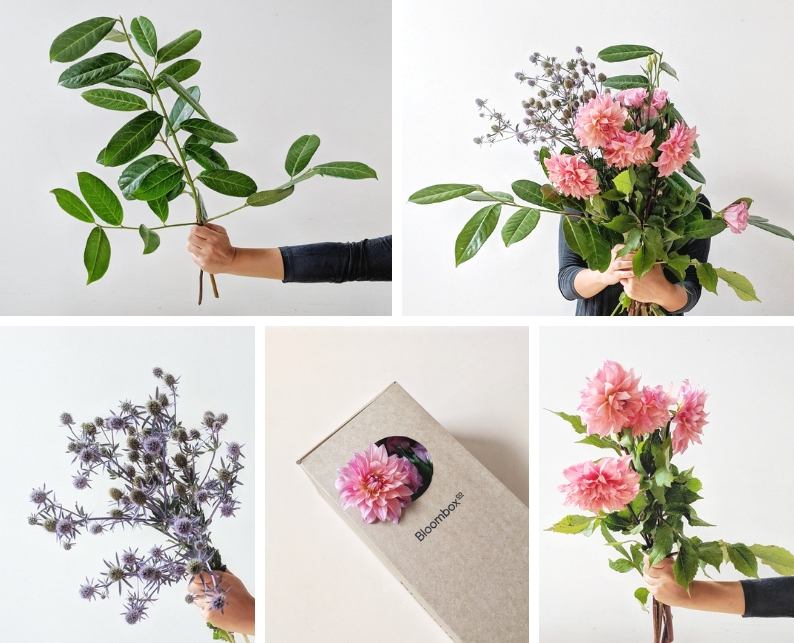 Things are heating UP right now, which comes with its benefits of lush summery blooms. And if you’re a fan of bold summer colours, do we have some eye candy for you this week! 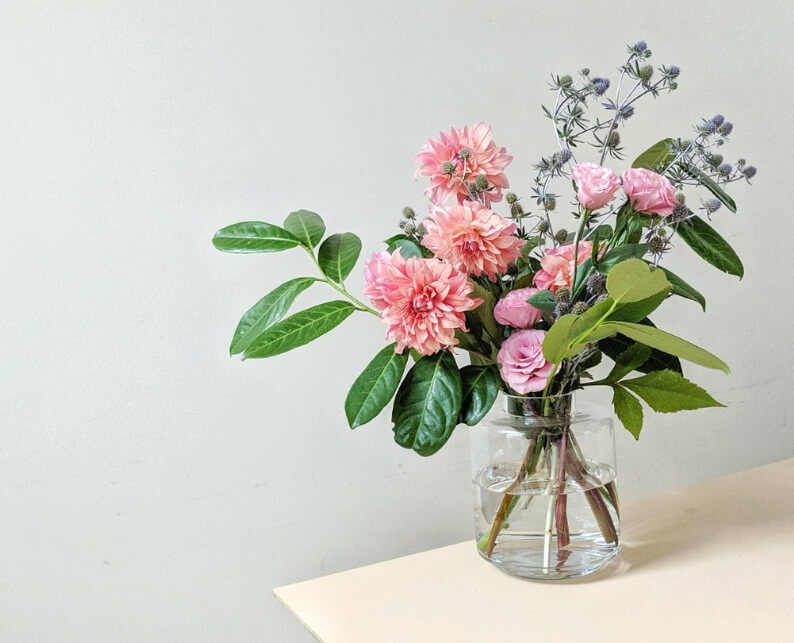 This week’s dahlias, lisianthus and sea holly are like a floral cocktail for your space. Brightly coloured blooms are a great way to freshen up your home, without the commitment of a lick of paint or a piece of furniture. So dip your toe into these yummy pinks and oranges this week, and don’t forget to share your results with us on Facebook or Instagram! Start by creating a “shelf” for your blooms by popping your greenery in a vase with fresh water. Slip in stems of lisianthus between the gaps to fill out your arrangement. Pop in your dahlias, using the greenery to support any heavy flower heads. Finally, add height and quirky texture with tall sea holly. Don’t forget to change your water often – especially this week as dahlias are notorious water murk-iers.